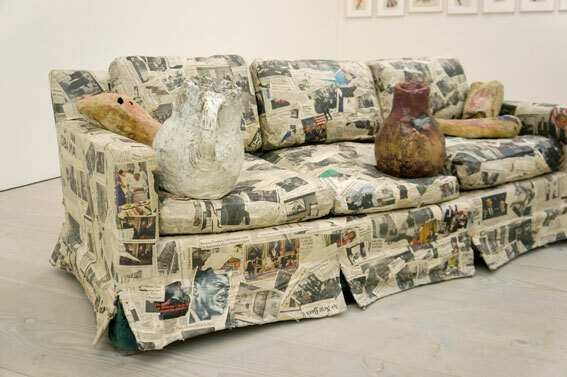 As so many times before the Saatchi gallery doesn’t disappoint with the variety and high level of artworks of 44 international young artists in it’s latest exhibition simply called ‘Paper’. The exhibition is an examination into the use of paper as a material and artistic medium. In a more and more paperless society paper is a disappearing material in it’s traditional way of use. However, as new uses are being discovered, it is gaining value. Paper is a timely material in many ways e.g. it is sustainable, humble and cheap, easily accessible and versatile. It suits well into the frugal society. You can create ‘something out of nothing’ with recycling paper and it is popular in DIY art. The exhibition included many paintings and illustrations that use paper in a traditional way. However the sculptural nature and capability of transforming paper from 2D to 3D forms in variety of installations was the best and most intriguing part of the exhibition. 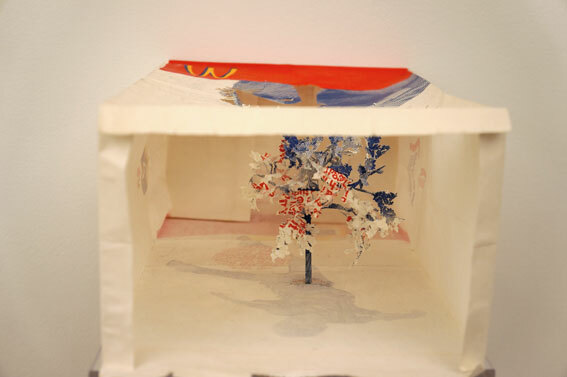 Especially the intricate, miniature paper cut trees from the used shopping bags by Japanese artist Yuken Teruya.